This year’s Race Against Domestic Violence, a 5k in Long Beach, WA. will be held on Saturday, August 4, 2018. You can register online or at the Train Depot from 6-8pm on Friday evening, August 3, or the morning of the race at 10am. Register online and order your t-shirt or hoodie now – click here! 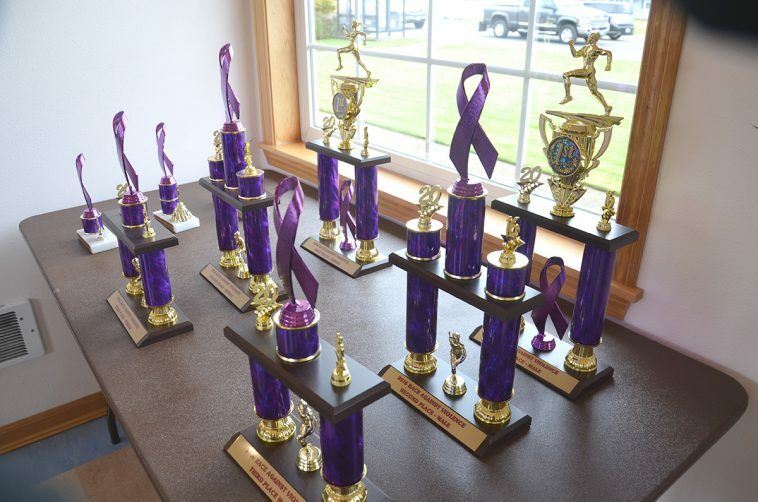 The Race Against Domestic Violence was started in 2009 as a way for friends and family to honor the memory of Lisa Bonney, whose life was taken in an act of domestic violence. Artist Don Nesbitt from the Long Beach Peninsula created this year’s race logo based on Lisa Bonney’s story. We hope to see you come out and show your support!